A former West Ham youth, Charlie joined AFC Bournemouth and came up through the U18 and U21 ranks before signing his first professional contract at the end of the 2017/18 season. At 18 years-old he enjoyed regular action for their U21 side, and also travelled with the first team to Watford and Liverpool for Premier League matches. In January 2019, he joined United on loan until the end of the season. Charlie was born on this date in . 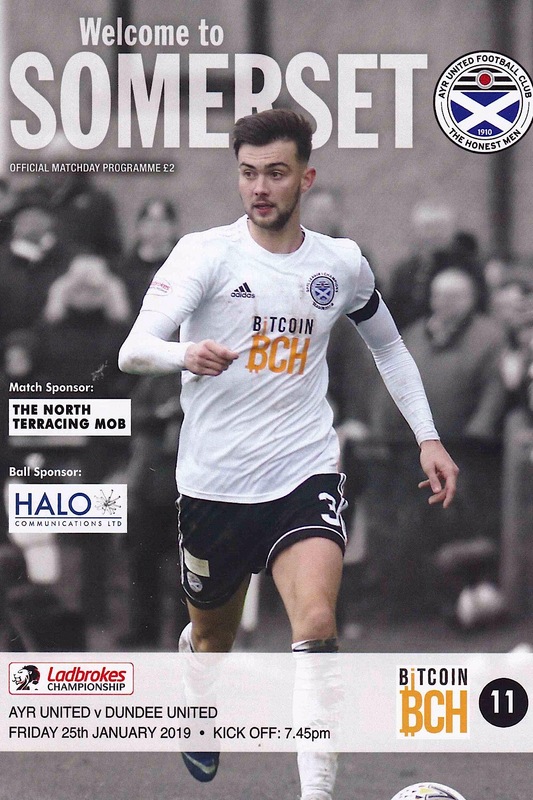 Ayr was the appropriate location for Dundee United on Burns Night as they travelled to Somerset Park to take on Ayr United in a Friday night clash in the Scottish Championship.